Products I Am Currently Loving. To start with I want to introduce you to my new blog design, wow dam it looks fresh. I am super pleased with the new look. A big shout out to Pipdig who installed my new design within 24 hours. I felt like my blog needed a brand new layout and look to it, it grows with me and my content. I have been really enjoying blogging lately and this is just what I needed. 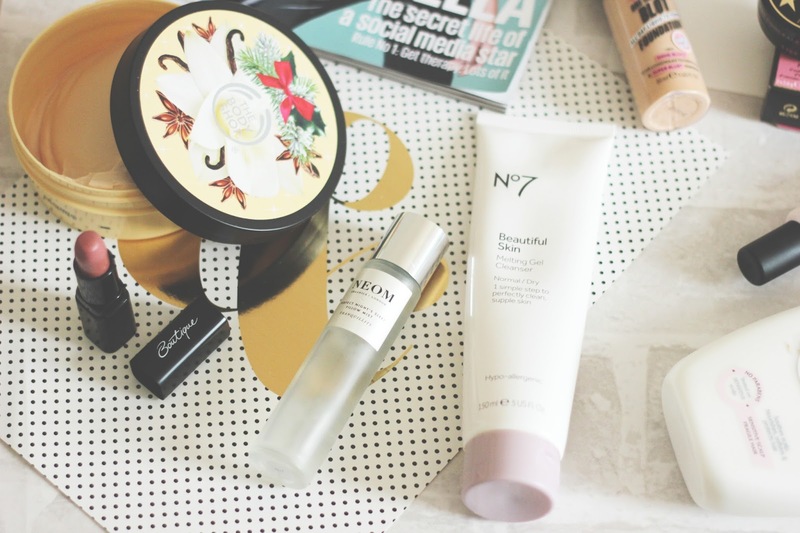 Today I wanted to share with you products I have been loving in September/ October. Boy these guys have really stood out to me. 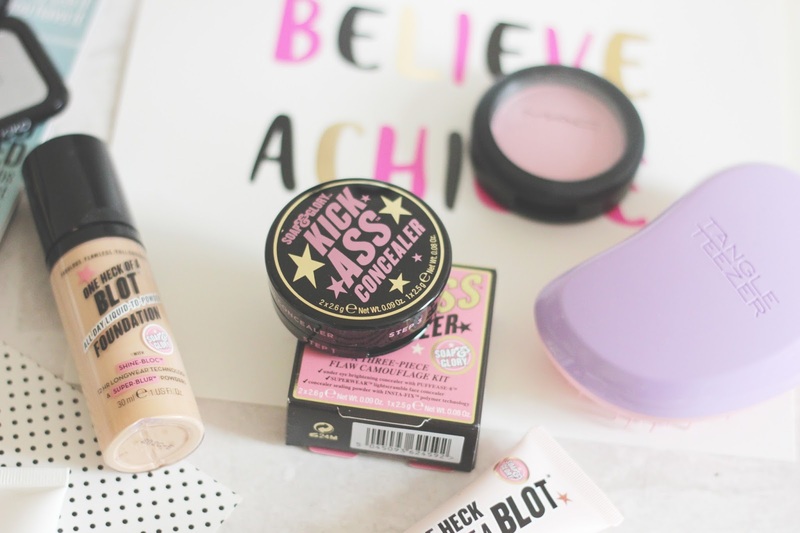 Now Soap and Glory is a brand I love, the body products are a big yes and they never disappoint. The make up has been a new discovery to me and I managed to buy plenty of it this month. 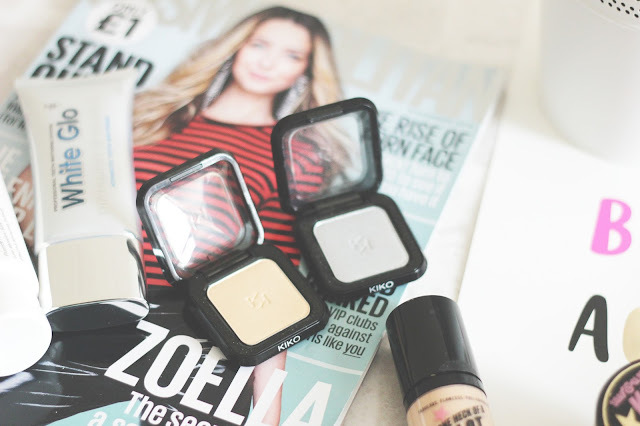 The concealer is a product I wish I tried months ago, it hides all my dark circles from early shifts at work and my cheeky spots. Th packaging is a winner, just look at the beauty of it. 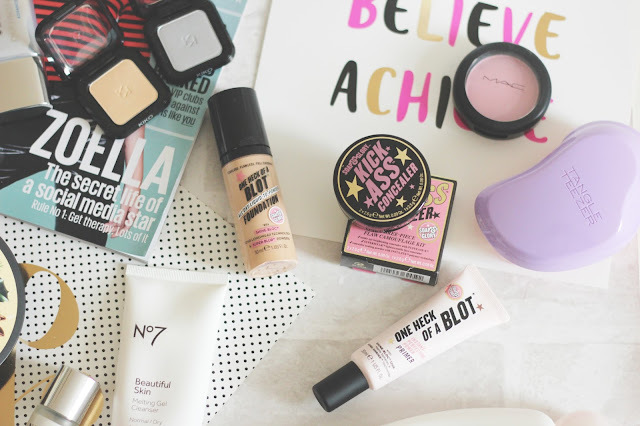 The one heck of a blot foundation is a stunning product, it makes my skin look flawless and I enjoy using it. A small amount goes a long way and my skin looks brighter and cared for. Kiko is a new love of mine, it is a brand I started to use early September and its cheap too. Cheap but the quality is incredible for an affordable brand. I picked up some pieces from the Trafford Centre store. I have been using number 17 and 76 together to brighten up my eye look. Number 17 is one of may all time favourite shades, you can use them dry or wet. When I have trouble sleeping which has been an issue the past month or so I use my Neom pillow scary. It sends me off to a deep sleep and it smells amazing, this is on my bedside table all year. After a hot bath and lots of blankets on the bed I spray this and it helps me relax. My go to lip product has been one from Sainsburys* which is a shocker, its just a gorgeous everyday pinky/ brown shade. 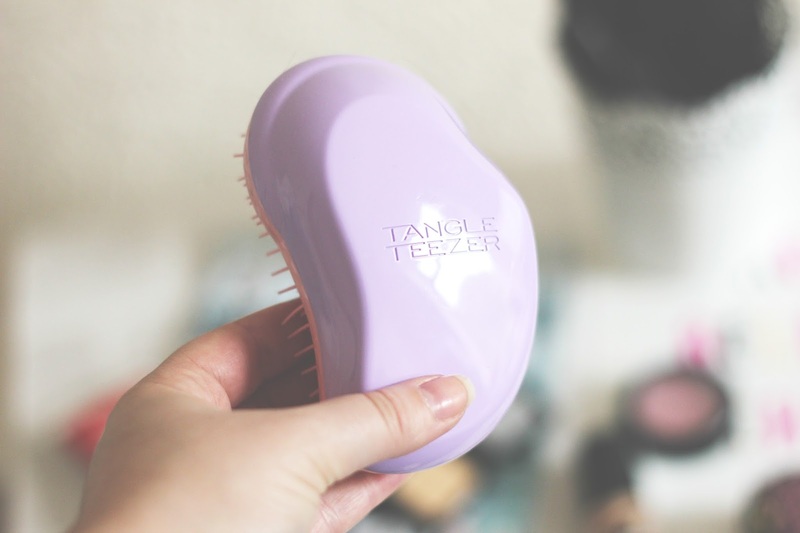 Everyone needs a Tangle Teezer in their life, this has been a major favourite the past couple of months. My hair gets knotty and tangles really easy so having this has been a dream. It works wonders on wet or dry hair and I pop it in my bag on a daily basis. My dog Juniper when she was a puppy she chewed my Tangle Teezer so I never got round to replacing it, this year I did and I missed it dearly. No7 is a brand I am currently testing out but there is one product that I really enjoy and have done for the past couple of years. It is the Beautiful skin melting gel which removes all my make up, easy to use and its great for dry skin. When Boots give out the £5 off skin care vouchers this is what I stock up on. It leaves my skin clean, dirt free and make up free without any hassle. It feels great to use as it is a gel formulation and leaves my skin feeling soft as I suffer from dry skin. I am up for a Influencers Choice award with Cosmopolitan Magazine please vote for me. Voting closes on the 28th October. I also discovered kilo recently (I say recently, I mean last year but it feels recent enough). I got the water eyeshadow in 227 and I love it! It looks so pretty in the winter with a dark lip and it wasn't that expensive either.